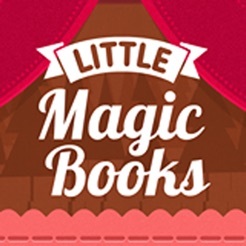 Little Magic Books is a new twist on the Classic Children’s picture book. 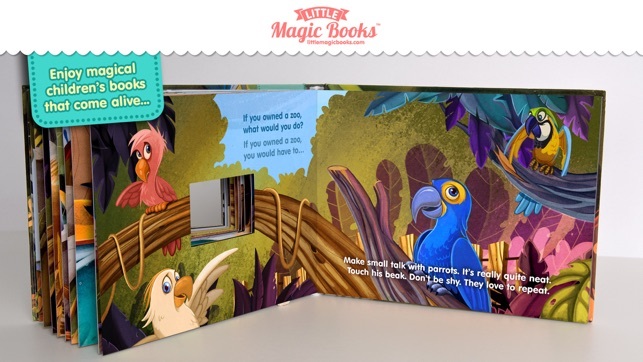 Little Magic Books combine the physicality of printed books with the interactivity of smartphone apps. 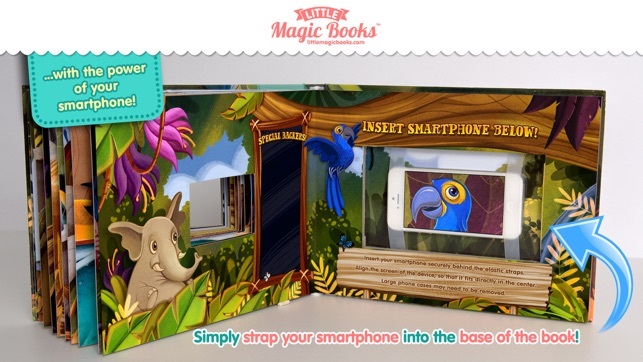 Just strap your smartphone into the the back of physical book while the screen shows through cut-outs in each printed page. The app animations on the device, integrate seamlessly with the printed illustrations and story-line, enhancing the reading experience while preserving the classic reading experience. 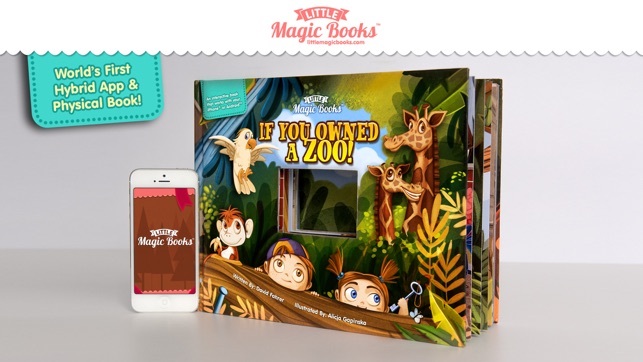 “If You Owned a Zoo” is the first Little Magic Book in the series. 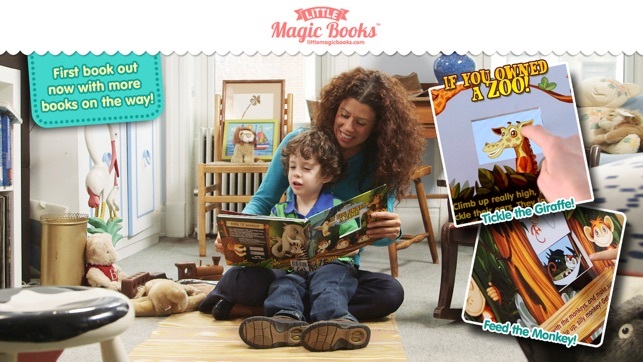 This book takes kids on a tour of a zoo filled with friendly animals. Along the way, kids can feed a lion, dance with a penguin, tickle a giraffe and interact with a whole cast of other goofy creatures. Featured as a Top 5 Finalist at the 2014 Digital Kids Summit! Got this on kickstarter. Love the concept. Looking forward to more titles in the future.